How did you get out here from in there? Welcome to Castle Rock, a town embroiled in mystery, balloons and long stares. 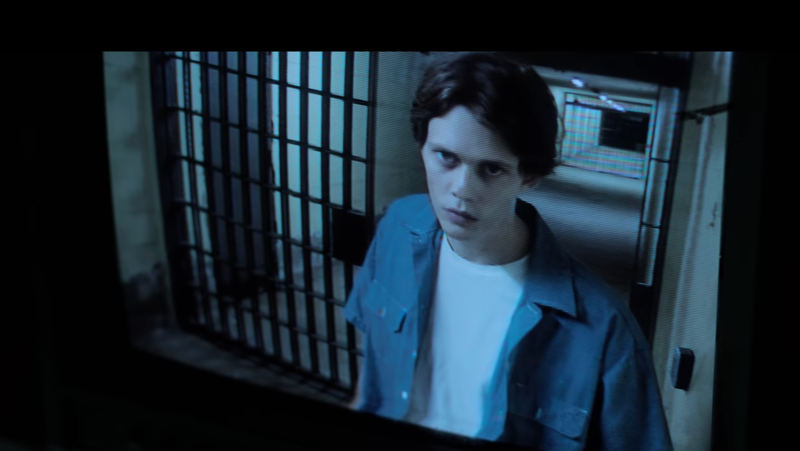 The latest trailer for Hulu’s Stephen King saga adds to the mystery and hypes Bill Skarsgård’s character, but continues to leave the plot on the cutting room floor. What exactly is going on here? In our latest look at the psychological-horror series, produced by King and J.J. Abrams, we see how Skarsgård’s character is as much a curiosity to the staff of Shawshank State Penitentiary as he is to us. How did he get inside the prison if he has no record? What is his purpose there, and what are his plans? Is he or isn’t he Pennywise, the killer clown he portrayed in 2017's hit It film. Meanwhile, he’s pulling his best “I can eat your face with my mind” look and getting everybody in the town of Castle Rock ready for the end times. But what exactly are those end times? Who knows? Since the show is set in a Stephen King multiverse, we’ve got plenty of nods to some of his earlier work. See if you can spot some (I was intrigued by the colorful balloons on top of the real estate sign). We’ve also got some iconic cast members from his earlier films, like Sissy Spacek, who was in Carrie, Melanie Lynskey from the King miniseries Rose Red, and Terry O’Quinn from Silver Bullet. How do all of them play into this crossover of doom? Guess we’ll have to wait until the series debuts on Hulu on July 25.